Blog > Patterns we love > The 10 Most Challenging Projects You’ve Ever Seen! The 10 Most Challenging Projects You’ve Ever Seen! What are your knitting goals? Are you longing to learn lace, or craving cables? Let’s have a look at ten of the most challenging projects we can find! Even advanced knitters struggle when faced with a new technique! You might be fabulous at Fair Isle and other kids of colourwork but wobble when it comes to complex lace. It’s always great to keep learning new skills. These 10 projects might inspire you to learn a new technique! Fair Isle knitting is glorious to look at, but much, much more difficult to knit neatly! Keeping your tension even and combining several shades at once with correct colour dominance is not easy! Marie Wallin is famous for her fabulous Fair Isle patterns, including the above dress, Sage. Some Fair Isle knitters keep different shade yarns in different hands and flick back and forth, where others keep colours together on one side. It needs to look almost as neat behind as it does in front, catching the yarn neatly behind if necessary to keep it secure. Tension is the watchpoint with Pemberley with its travelling Fair Isle throughout, and then a centre section that is different, as well as the tricky steeked neckline! This is a fabulous pattern for those of you who love colourwork and a challenge – but not for the faint hearted! On the surface this might not look like a complicated knit…. but it is! Double knitting (the process of knitting two layers of fabric at the same time) is complicated further here by colour work using the intarsia technique. A challenge for an adventurous knitter, but with sumptuous results! Brioche is a tricky technique to master with just one colour, but add another, and work it in lace weight yarn and you have a pattern that requires a very advanced level of knitting skill! The brioche stitches create a fabulous degree of loft, and the challenge here is the combination of yarn overs and slipped stitches on both the knit and purl sides when working with two colours. Pravigan is a stunning two colour brioche pattern that should only really be attempted by knitters who are used to working brioche and/or love lace weight yarn! Worked from the top down, this complex crescent-shaped shawl from Corrina Ferguson has an ornate lace centre motif and cable-lace ladder wings. The pattern is charted and written and there are lots of small cables to contend with, so you need your wits about you with this beauty! Stand back and gaze at this gently exquisite undulation of cables and lace! Anne Kingston’s Lorien hat includes a provisional crochet cast-on and some grafting of the brim using Kitchener stitch, making this a very complex pattern for advanced knitters to enjoy, resulting in a very satisfying knit and a beautiful slouchy hat! Belinda Harris-Reid is a designer known for her divinely complex lace and cable patterns, and Strawberry Pi explores Elizabeth Zimmerman’s pi increase formula to keep circular knitting completely flat. If you love lace, and you’re a technique geek, you’ll love this! The thing about cables is, although in their simplest form they are straightforward to work, there are so many of them! And once you combine two or three or four different types of cables, and cables that travel, it becomes a very complex knitting challenge! This coat is full of cable challenges to keep you on your toes! Just have a look at this Fair Isle cardigan. It would be hard enough to knit full size, but once you look at the penny next to it, and you realise just how small it is – then it really does rank as one of the most complex knits we’ve seen! Knitted on 1mm needles in cobweb weight yarn, this is a real labour of love. Take a look at Frances Powell’s other dolls house knits and prepare to be AMAZED. Look away arachnophobes and those of you who hate sock knitting! Both are combined here into long lace socks with big spiders on the back! 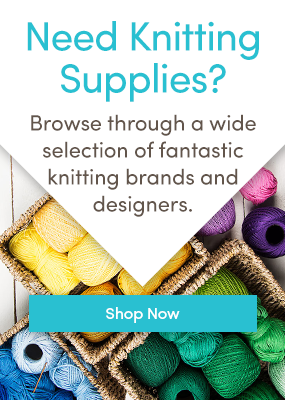 Socks themselves are complex knitting projects and if you haven’t tried knitting a sock, it’s great fun and you can knit them either on DPNs, tiny circulars or long circulars using the magic loop. The challenge here is to manage the sock knitting in the round with a lace repeat AND a spider motif! Take a stroll through our advanced knitting pattern range! 8 Responses to The 10 Most Challenging Projects You’ve Ever Seen! A few of these look a bit difficult to me but not impossible. I’ve seen more complicated patterns. A couple I wouldn’t attempt because of the degree of repetition, for example the pi shawl, which would quickly become very boring. I agree. I don’t like any of them (except maybe the Spider Socks!) well enough to endure the hassle and pain. I currently have about one third of a Fox Paw Scarf on my needles, but had to put it aside for a while because it was exacerbating the arthritis in my hands. lace is never ever boring..despite the repetitions..:) but then perhaps I could be plead guilty to be a lace addict. I have knitted the Pi shawl and it was not at all boring, but grew surprisingly quickly. And it looks lovely too. I love the Minimissimi coat. I hope someone can help me, I am looking for 500 gms of Wendy Traditional Aran shade 180 which I bought a couple of years ago to finish a poncho for Xmas. I need the original off white with black and dark brown flecks not the yellowish colour with green and orange flecks that they are now selling as this colour. Can anyone help me out please, quite happy to buy it. I’m 67 and my eyesight is not as sharp as it used to be… So I am unable to follow charts, but can almost knit everything from a written pattern. I love love love lace. This year, I have learned entrelac and it was easier than I thought. However, a project takes longer with entrelac. What I would like to learn is brioche. I love the feel and colour contrast, and I have looked on the web for tutorials. Not sure I want to tackle this, but I’m thinking of a straight scarf to start with. Lately, I have been knitting baby stuff for Africa. They really need it, as nights are quite cold for babies.